Who says winter needs to be bleak and colorless? Vibrant colors are exhibited in nature in the winter as well as at other times of the year, and this is especially true for the mild Texas climate. 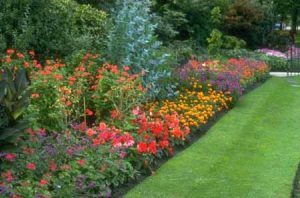 If you would like to brighten up the landscape at your home or business, there is someone who can help. Blooms Landcare is a reliable and dedicated Fort Worth TX landscape service. The expert staff at Blooms Landcare is knowledgeable about all kinds of beautiful winter plants, and can use these to turn your yard or garden into a wonderful work of art during the winter months. We will work with you to create a new landscape or plan different options to boost the atmosphere of the existing space. Our horticultural specialists are expert in caring for all types of trees and shrubs. We know how to make the most of the gorgeous colors of each season to create a varied and attractive scene. The possibilities are literally endless. We will work with you to create a customized plan for the layout of your property, at prices that will fit within your budget. Our aim is to please the customer by providing prompt service and using quality materials, whether they be organic or man-made. From something as small as adding a few potted plants to a more involved plan of installing irrigation systems and lighting, we can do it all. We also install stonework such as retaining walls, walkways and patios. These features add stylish shape and value to your land. You’ll be pleased with the results, as will any visitors to your home or business. We guarantee satisfaction with all our work. At Blooms Landcare, we are excited to offer seasonal color installation for the residents of the greater Fort Worth area. We want to help you with the planning, perform the installation and maintain your winter landscaping. Let the land care experts at Blooms Landcare help you transform your yard, porch or other space into a beautiful display that captures the interest and awe of those who experience its beauty. Call (817) 688-5352 to schedule professional service to transform your landscaping this season.